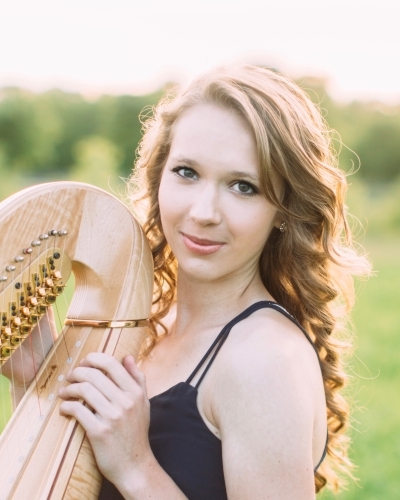 Jessica Martin is currently pursuing a Bachelor of Music in Harp Performance at The Cleveland Institute of Music, where she studies with Yolanda Kondonassis and performs as rotating principal harpist with The Cleveland Institute of Music Orchestra. At CIM, Ms. Martin performs in a chamber group that has played works by Debussy, Agulia, and Bax. Last summer, Ms. Martin was a finalist in the Anne Adams Award Competition and attended the National Music Festival and the Miami Music Festival. In the summer of 2017, she attended Eastern Music Festival in Greensboro, North Carolina. Ms. Martin has had the privilege of working under Michael Tilson Thomas, Gerard Schwarz and Brett Mitchell on different occasions. Prior to attending CIM, she served as principal harpist of the Grand Rapids Youth Symphony under the baton of John Varineau. As a member of GRYS, Ms. Martin appeared at numerous venues throughout Michigan and around the world, most recently performing in Salzburg, Vienna, and Prague. Jessica Martin is a native of Grand Rapids, Michigan and began studying the harp at age seven.